Project 333 where you’re challenged to dress with only 33 wardrobe items for 3 months. I tried this and got my wardrobe down to 37 pieces. I like having a smaller selection to pick from each morning, and if the item made it into my top 37 then that means it fits well, looks good, feels comfortable, etc. So although it was hard to get rid of some clothes, it was nice to get my closet down to only the best of the best. Confession: I’ve only donated a portion of the items that got cut from my wardrobe, I still have a lot (mostly nice suits and work attire) that I plan to list on eBay, and a little more to donate, too. I used an app called GlamOutfit to piece things together into outfits, which made the the process a little more fun. SO ANYWAY, what does this have to do with living on a boat? Well, in my quest to ‘live more, with less’ I started looking at alternative housing options – RV life, vanlife, tiny houses, etc. and ultimately stumbled upon houseboats and liveaboards! I was immediately intrigued. The river has always been my happy place, and the thought of living there full time is SUPER appealing to me! I like the idea of motoring up and down the river whenever I feel like a change of scenery, changing my view as often as I see fit, and enjoying all the wildlife right outside my front door or off my back deck. The idea of living in a small space is a little intimidating, but I think it might be a fun challenge to figure out the exact bare minimum of “things” required to live comfortably. 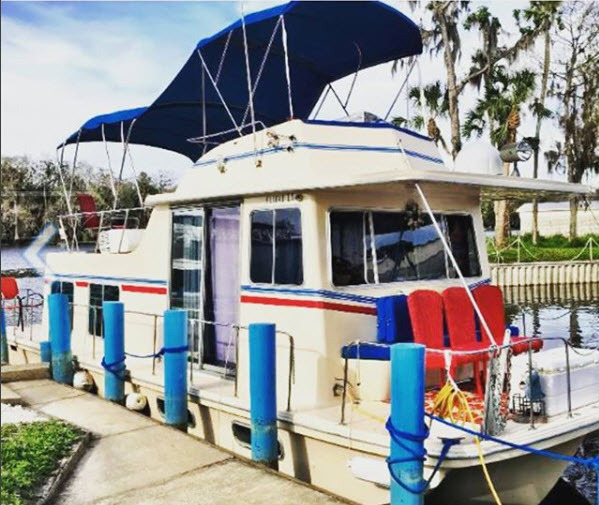 I joined a bunch of liveaboard groups and houseboat groups on Facebook, and I met with a houseboat owner at the Sanford marina for a marina tour and tour of her beautiful home. She was super sweet and even offered to help me by looking at any of the boats I’m interested in and letting me know if she sees any red flags. Her home is gorgeous, but about the size of my land-based house as far as square footage goes… so her lifestyle is way different than the lifestyle that will fit within my tiny houseboat budget. 🙂 Hearing all about boatlife was fun though, and after meeting with her I was even more excited about the idea of making this big life change. I have some logistics to consider in my quest for the perfect boat, such as the fact that I need 100% reliable and decent speed wireless access so I can work, the boat will need 2 berths so Jacob has his own space, and I’ll need enough room for my sphynx cat’s treadmill (something she uses daily). I would like to have off-grid capability so I can take advantage of all 310 miles of the St. Johns River, and I would love to have some solar panels, a charge controller, and an inverter – though I can always add those parts later. The living space needs to get lots of natural light of course, and I would like to have a bathtub but that’s more of a ‘would be nice’ than a ‘must-have’. I subscribe to several YouTube channels by people that are liveaboards on sailboats, and while the concept of sailing around the world seems really magical, I also think I would get way too sea-sick. Plus operating in survival mode all the time just sounds exhausting to me. The river is really more my speed! Which means I don’t necessarily need a boat that’s capable of handling sea water, and I’ve heard boats that live in freshwater require far less maintenance, too. Win/win. But watching the YouTube videos at least gives me an idea of what it’s like to live in minimal space, and to only have things that bring great joy and/or serve multiple purposes. Each item basically has to justify the amount of space that it takes up – not something I normally think about when furnishing a house. 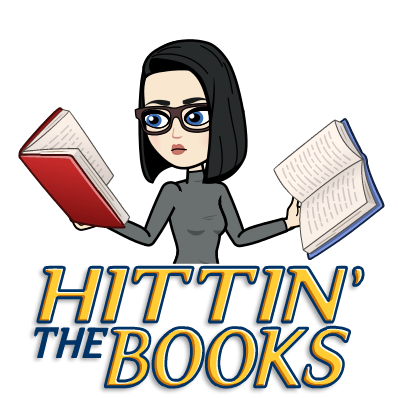 This entry was posted in Family, Home, Outdoors, Sanford, Travel and tagged #houseboatlife, boatlife, houseboat, konmari, liveaboard, minimalism, project333 by Lori Griffin. Bookmark the permalink.